Greetings!!! The Juniors will travel to Maine for the Junior Conference which is scheduled for July 8th. Wish them luck. I hope that everyone will help out and participate next year as Connecticut will be the host state. Remember, to have a successful event, everyone needs to help out. We cannot keep having the same people help out all the time. We will be collecting donations for the Juniors and Youth to visit the Connecticut Science Museum during State Session. Any donation that you or your Grange can provide will be a great help. The Junior and Youth might be only “kids” now, but they are the future and the future Grange. If we do not help them out now and show them the Grange, there might not be a Grange for them. 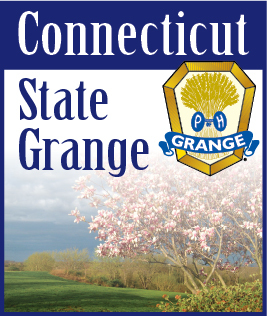 Please send the donations made payable to “Connecticut Grange Junior and Youth” and mail to c/o Lisa Lamoureux, 22 Linda Court, Meriden, CT 06450 and mark them “Science Museum”. If anyone has any questions, you may reach me at 203-238-1510. On behalf o the Juniors and Youth, “THANK YOU IN ADVANCE FOR YOUR HELP”.